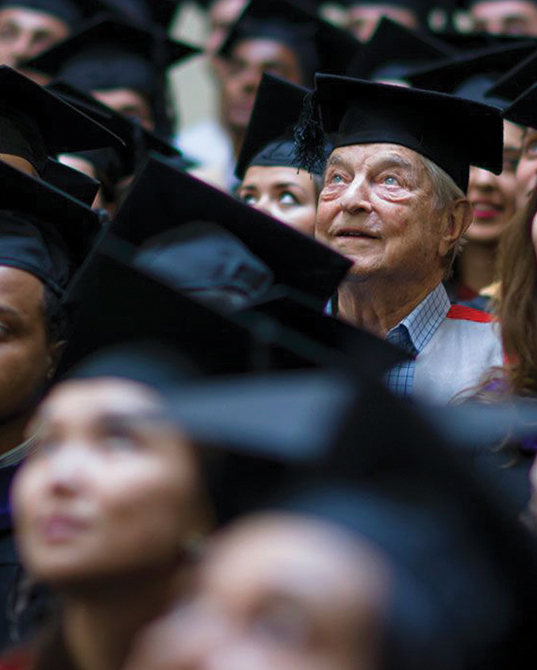 Founded in 2015, on the occasion of George Soros’s 85th birthday, the George Soros Leadership Fund at Central European University (CEU) provides annual support to scholarships, reflecting CEU’s deep commitment to ensuring that outstanding scholars from all corners of the globe — particularly those from developing countries — have access to a world class education. Additionally, the fund provides ongoing support to leadership preparation initiatives like CEU’s flagship Roma Access Program, which is dedicated to increasing opportunities for talented Roma students to attend graduate school or launch professional careers. CEU is grateful to our founding donors who helped to establish the fund. 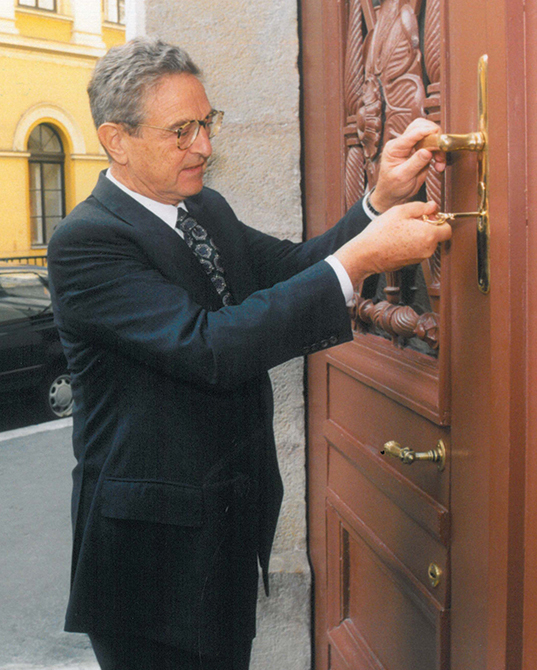 We invite you to join us as a donor in honor our founder. Your gift will help build on CEU’s rich tradition of developing new leaders committed to advancing open society and democratic values. At the core of CEU’s mission is a set of principles: the pursuit of truth wherever it leads, respect for the diversity of cultures and peoples, and commitment to resolve differences through rational debate and the instrument of democracy. Advancing these principles requires leadership, vision, and the ability to work across disciplines. CEU prepares young scholars to tackle 21st century challenges from bioethics, corporate responsibility, and environmental security to media freedom, data privacy, and minority rights. The George Soros Leadership Fund supports scholarships for outstanding students from exceptional circumstances, who embody and advance the ideals of open society and free expression. Gifts to the Fund also support leadership preparation initiatives like CEU’s flagship Roma Access Programs, dedicated to increasing opportunities for talented Roma students to attend graduate school or launch professional careers.